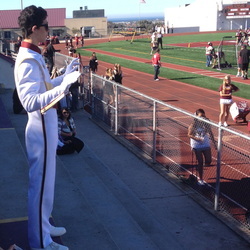 8th Grade students attended a fieldtrip to the PLHS football game on November 1st and, in collaboration with Dana and PLHS music, all three schools performed the pre-show entertainment before the game. Students then joined the High School in the stands to provide “pep” during the game and they got to see the HS’s very impressive half-time show. This experience allowed our music students to get a taste of what HS music and the marching season is all about. The HS music program is a close nit group of students and it was exciting for students to be a part of this for the day. Find out more about PLHS Music at plhsmusic.com.